Second day on Qingdao, we decided to make a day trip out to Laoshan/劳山. We took a bus which took about 60 mins to get us to Laoshan. The trip along the way was pretty interesting – we actually saw the Tsingtao beer factory. Apparently, you can get a tour factory if you book in advance. Another interesting factoid about Tsingtao beer. Apparently, it was started by the Germans when they colonised Qingdao a century ago. 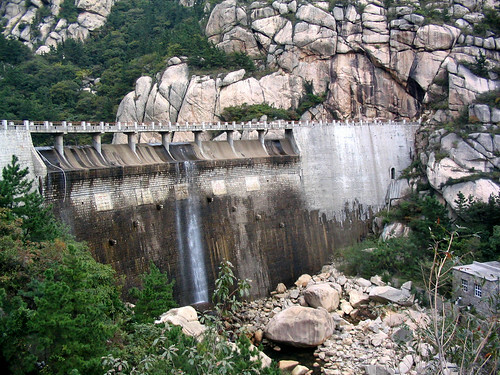 Consequently, Tsingtao beer is actually made using German brewing techniques using the water from Laoshan. 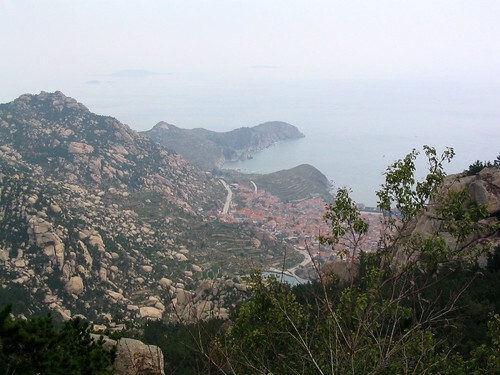 The trek on Laoshan wasn’t particularly hard, and it was pretty scenic. 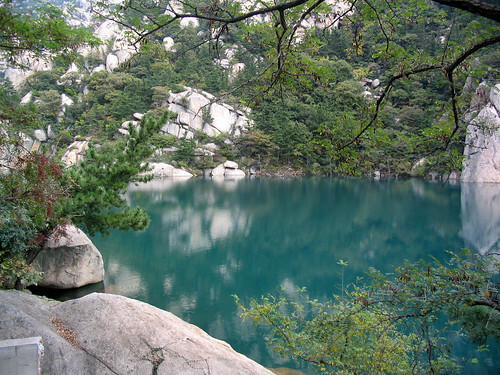 There was a dam with beautiful turquoise waters, and there were some great views of the coast from the top of Laoshan. While there were some stairs, most of it was lateral, so it was an easy trek. I do highly recommend this day trip out to Laoshan. It’s a nice change from the cityscape, and it wasn’t too crowded either.